TBZ-The Original continues its march across India with the addition of its first-ever store in the State and the City located at ­­­­­­­­­­­­Bangalore Phoenix Market City Mall. 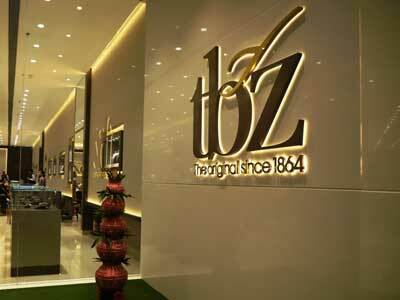 For connoisseurs and Jewellery lovers in Bengaluru, the new fashion destination will be TBZ-The Original Bangalore. The first store in Bengaluru is also the 41st TBZ-The Original store across 29 cities in India. Raashi Zaveri, Director, Tribhovandas Bhimji Zaveri Ltd., said, "Just as Bengaluru is a melting pot of cosmopolitan culture and interesting influences, TBZ-The Original new collections are inspired by our customers and cater to today’s modern day woman. We intend to provide the City's fashionistas with the best design and in-store experience. As a part of our new product range, the designs will cater to every woman who wears jewellery to complete her look and not necessarily only for occasions." TBZ-The Original, Bengaluru, offers a wide array of innovative, fantastic and attractive jewellery designs with an added attraction of custom-made products. The showroom showcases a vast range of contemporary and modern jewellery collection and a mix of gold, diamond and precious stones studded jewellery for discerning customers. It provides the same standardized shopping experience to customers as other company-owned stores.